The story of Helicobacter pylori is a real testament to the tenacity of medical researchers to prove their hypothesis. It took decades before the scientific world would accept that the bacteria H. pylori caused ulcers. Now that we know the bacterial culprit can cause peptic ulcer, gastritis, and even gastric cancer, scientific research has moved forward to discover just how these bacteria have managed to survive in the acid environment of the stomach. And learning more about how it functions has identified a potential weakness that might be useful as a treatment target. "Research is to see what everybody has seen and think what nobody has thought," Nobel-prize winning physiologist Albert Szent-Györgyi once wrote. The quote is an apt description of the discovery of H. pylori as the causative agent of ulcers. 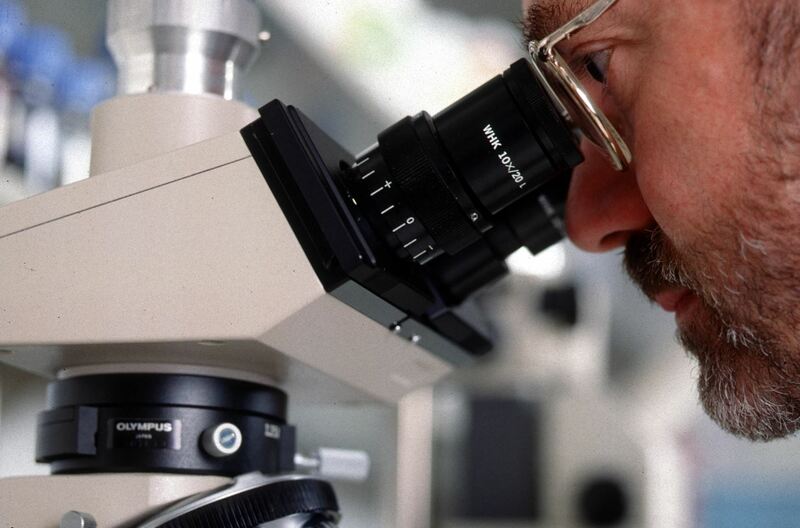 Over 100 years ago, Polish researcher Walery Jaworski described seeing spiral-shaped microorganisms in the human stomach under his microscope. No one took the observation seriously at the time because ulcers were commonly "known" to be caused by stress, not an infection. Diet, stress, and even bad mothering have all been called out for causing ulcers over the years. A 1967 paper reported that, "mothers of ulcer patients tended to have psychogenic symptoms, and to be striving, obsessional, and dominant in the home." Treatment for ulcers included rest, eating bland food, and sometimes hospitalization. 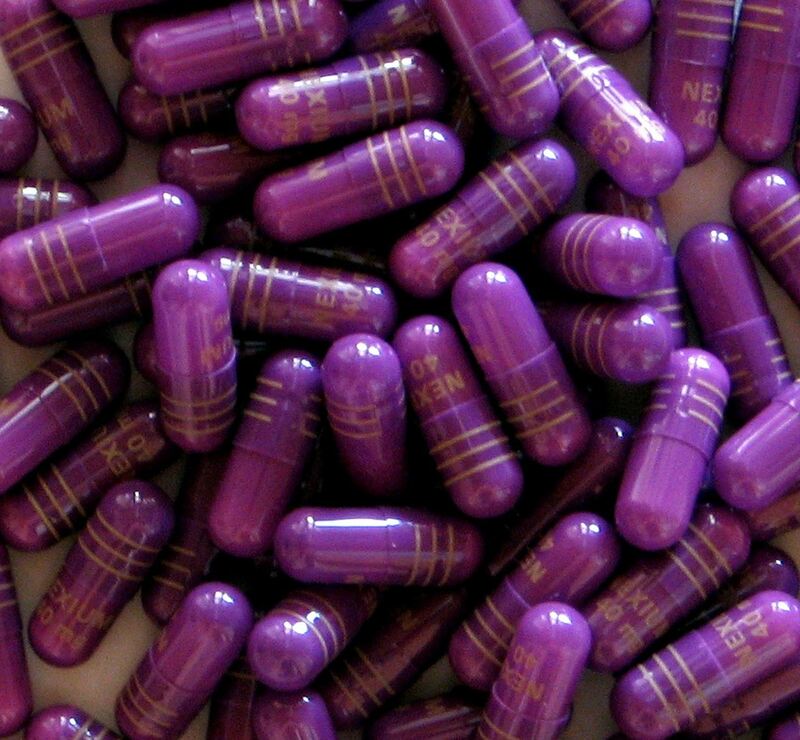 After other research found high amounts of acid in the stomach of patients with ulcers, clinicians began to prescribe antacids to treat symptoms. But they couldn't cure it. Fast forward to the 1980s when J. Robin Warren, an Australian pathologist, saw curved organisms from a stomach biopsy under his microscope. He convinced physician Barry Marshall, who was a trainee in internal medicine at the time, to join him in his quest to show the significance of finding. In 1982, they isolated what would later be called Helicobacter pylori from 11 patients with gastritis. To prove that the bacteria were causing the stomach inflammation, Marshall famously drank a concoction containing H. pylori to prove the bacteria caused the infection. He succeeded in giving himself gastritis and cured it with antibiotics and bismuth salts. Warren and Marshall both received Nobel Prizes for their work on H. pylori. Using the presence of H. pylori antibodies in the blood to confirm infection, it was found that about half of all people in the world were infected with H. pylori, yet only about 20% of those people had ulcers. Two questions begged: How do the bacteria survive the stomach's acid and why doesn't everyone infected with H. pylori get an ulcer or other gastric disease? The element nickel is key to H. pylori's survival, according to new research from Professor Frédéric Veyrier at INRS in Quebec, Canada and Professor Hilde De Reuse at the Institut Pasteur in Paris, France. The researchers found that H. pylori survived using an enzyme called urease to create byproducts that neutralize stomach acid. 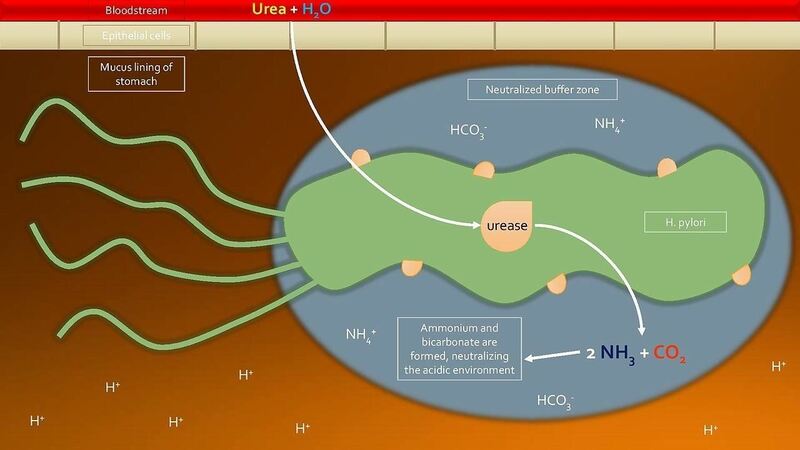 Nickel is required for urease to work, but the human body doesn't have a lot of nickel. The clever H. pylori bacterium has evolved processes to find, transport, and protect nickel supplies. With enough nickel, H. pylori survives and multiplies even in the harsh acidic conditions of the stomach. Today, antibiotics and proton pump inhibitors are used to treat the infection and to reduce the acid produced in the stomach. Only about 70% of H. pylori infections are cured by this treatment, but H. pylori can also cause stomach cancer so researchers have been looking for better treatments. The latest research from a group based out of the University of Toledo was just published in the journal PNAS. The researchers turned to the bacteria's own processes for inspiration. If they could target a critical process of survival in the stomach, they would kill the bacteria. They honed in on vitamin K.
Humans need vitamin K for blood clotting, bone metabolism, and important cell functions. The human body doesn't make vitamin K, but luckily our intestinal bacteria make it for us. Interestingly, the researchers found that H. pylori uses a unique approach when making menaquinone (vitamin K2) from an enzyme called 5'-methylthioadenosine nucleosidase that's different from the other bacteria in our bodies. Blocking this unique pathway could selectively kill H. pylori without affecting other good bacteria that are keeping us alive by making vitamin K2 in our guts, and hopefully targeted treatment would more effectively cure the infection than the current antibiotic combination. If it were not for scientists who were sure their observations meant something, we might be trying to treat gastritis with tranquilizers to reduce anxiety. Persistence has given us both an answer and an avenue to pursue to finally get Helicobacter pylori infections under control for good.